Over the course of the years we have seen an explosion of social media networks and tools. Though most of these tools come in Freemium, most of us continue with the free version. Here is a list of tools – and I will exclude Twitter and LinkedIn since most of you are using these anyway- you should be using if you are trying to make your life simpler while using social media. Whether you are managing, monitoring or posting (planning) messages, Hootsuite is the tool that allows you to manage 5 profile for free (my suggestions: personal Twitter, Facebook and LinkedIn accounts plus your Facebook page and LinkedIn Company page). As a consultant you are probably reading a lot of blogs or articles. Posting and sharing this information all at the same time is not a good idea. Buffer will help you out by allowing you to schedule posts from theses articles themselves over 10 time slots during the course of the day on 3 social media platforms for free. If you are a Twitter user, understanding and managing your audience is key. Keep track of your new followers, who to unfollow, who to engage, etc. is good to know but what really stands out is to know who is no longer following you. Commun.it and some other tools will provide you with the answer. You can re-engage them and recapture your unfollowers. 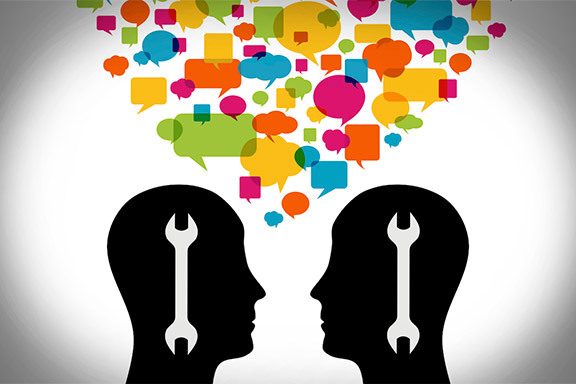 Consultants have a lot of knowledge which could position themselves as a thought leaders. You are probably trying to get into the press to get visibility with your target audience and it does not always work out every month. So why not auto-publish and start your own blog. Sharing your views, best practices, tips and tricks are great ways to get recognized for your knowledge. Giving presentations and training sessions are part of your life. Uploading your presentations to Slideshare will not only boost your SEO, but also create thought leadership and even generate leads. It is also a great source to find information about your area of expertise or about your clients. People like to see their consultants at work. Nothing works better than videos. Using Instagram, Vine or just your smartphone you can create a good sample of what you do. Posting these videos of presentations, training sessions or workshops will create the necessary trust to get invited for a sales pitch. Setting up meetings via email and/or phone can be very time consuming, so let Doodle help you find the ideal time to meet. Yet another timesaver. Sharing files has never been easier, using Dropbox you can share files between your own devices (PC/Smartphone/Tablet) but also between clients or peers. There are of course alternatives such as Google Doc, Skydrive, Googgle Drive, etc. These applications can also be used for making a backup of your data. One of the apps I have come to appreciate over the course of the last year is Evernote. Taking notes has never been easier. The notes are synchronized between your devices so which ever device your bring to the meeting you have the latest meeting report on you. If you are a bit like me you have a number of to do lists, As with Evernote, I have come to appreciate Wunderlist as a cross-device platform to keep track of all those tasks I need to accomplish. Of course, the list does not end here. There is always a bit of a trade-off between how much time you need to spend using the tool and how much ROI it provides. Which other one’s are you using to make your social media life simpler or more complete. When you have joined the social media movement, the real work (and fun) starts. I am always astonished that people ask me how much time they should spend on social media. We all know this is an impossible question to answer since everyone has a different number of accounts and a different modus operandi. 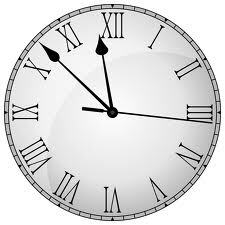 However, I think we should put the time usage in function of the goal we are trying to achieve using social media. So, I am beginning to return this question with a few another questions: “How much time do you need to spend on e-mail daily?” or “Does anyone question the time you spend on doing emails to get your job done?” Not! Well eventually social media should follow the same guidelines. 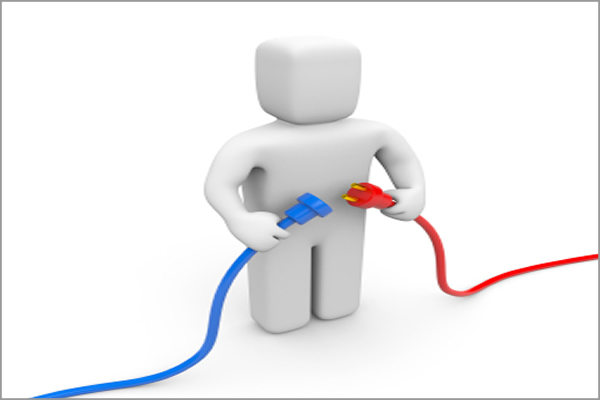 However, in order to get started it might be good to create an approach, let’s call it a “social media routine”. Here is a one I want to share with you. It consists of 3 parts: Reviewing your social media monitoring; reviewing your own accounts and posting content for your target audience; and reading and sharing content from others via your accounts. You know people are talking about you in wide sense of the word, so you need to monitor social media. This is true for both you as an individual and for your company. This can be done via a number of free tools such as Google Alerts (good for content but bad for Twitter, Facebook or LinkedIn) or Socialmention – Addictomatic (more focus on social networks but not always accurate). However, when you are serious about monitoring (and you should be), you will need to pay a monthly fee for good results from all platforms. Tracebuzz, Engagor, Attentio, Mentions.net, Meltwater, Radian6 are just a few of the platforms you could use. It important to test drive them to see if they deliver the results you are looking for. Your daily routine is to check the messages for sentiment and get back to people. Simply put this means: thanking them for positive comments and taking actions to address the negative comments. Though you have already looked at your social media monitoring results, it is important to review all your OWN social media accounts for any comments or posts. These are messages addressed to you. These might or not have shown up in your social media monitoring. Keep in mind that these are people talking to YOU and thus need an answer. This is also the ideal moment to post new own content for your target audience. This is the “valuable” information you want to share with our network. Depending on the platform you will be posting daily (Twitter and Facebook) to monthly (blogs). Content can take many forms: text, images, video or audio. You can also run polls and post events. Sharing is fun! Your daily routine will consist of reading the comments, reacting to those comments and posting new content. The tools you could use vary from the platforms themselves to social media aggregators such as Hootsuite or Tweetdeck. Social media is full of interesting information waiting to be shared. As I mentioned before some content is created by you but most is really created by others. Sharing content from others can help you create visibility and position you as a valuable resource for your network. This side of social media takes the most time since you will have to do a lot of reading before sharing it with you target audience. This part of social media could take 80% of your time. There are many ways to share content through your social media accounts. Many platforms have a “SHARE button” but I have found that Bufferapp is a great application that allows you to share information/websites on Twitter, Facebook and LinkedIn while you are reading the information. Even better, Bufferapp will spread your postings during the day. So your daily routine should be about finding the websites that contain good complementary content for your target audience, read and share it with that audience. Finally, what I have explained is not only true for you as an individual but also for a company or organization since you are trying to become a valuable partner and resource for your prospects and clients. Keep in mind that information that is being distributed via company-owned accounts (fan pages on Facebook, company profiles on LinkedIn, Twitter and Youtube accounts) can and should be amplified through employee personal accounts. Any thoughts? Comments? Best practices you want to share? Feel free to use the comment fields in this blog. I look forward to starting the conversation with you. Whether your company is active on social media, your employees probably are. So you should have a policy. Over the course of the last few years I have been involved in writing and reviewing a lot of social media policies around the world. It is becoming clear that social media policies have some kind of anatomy. Of course, there is not “one fits all” solution since every company has its own needs and wants. 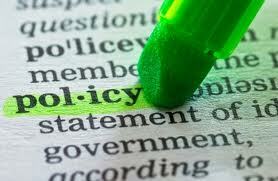 I would like to share with you what I am seeing as best practice components in social media policies. 1. Why do you have a social media policy? Most of your employees have a limited view of what social media really is. It is more than Facebook, Twitter and LinkedIn. A good definition of what you as company understand under social media will help you set the scene. 3. Which social media and networks are we talking about? It is good idea to name the major different social media platforms, what they are best used for and what the benefits and dangers are. 4. To whom does the policy apply? Different types of people are working in companies. Of course you have employees of which some are spokespeople. Many companies also employ contractors or free-lancers and you need to decide whether your policy will also apply to these people. You might need a subtract for them. 5. How to get access of social media? In some companies you still need to ask permission to access the internet and/or social media. We tend to think that this practice is becoming extinct but still many companies block access to social media for the majority of their employees under the umbrella of productivity loss. That is what the social media policy is trying to address. In this section you will define the difference between policy and guideline, personal vs professional use, employee vs spokesperson, etc. The social media guideline will help your employees protect their own reputation and thus also the reputation of the company. In this section you will find items such as authenticity, correct errors, honesty, suggestion of identity and email addresses, etc. 9. Where can you your company on social media? And how are you using it? Do not assume that your employees know what social media you are using as a company. A lot of companies do not mention their accounts on website and leave it up to their employees to discover where they are. This practice will make sure that all your employees know what the official accounts are. It is also a best practice to tell your employees what you are using these social media accounts for. Let’s call it leading by example. 10. How do you handle mentions (positive and negative)? We all know that companies and people are talked about. Many companies have some kind of social media monitoring but many more do not. So if your employees who can be your eyes and ears in social media (provided they are your ambassadors) see any message, they need to know what the procedure is to handle these mentions or posts. As companies are gearing up for social media, it is also a good idea to setup a help desk or a social media help account (which could be any employee within the company). Indicate in your policy who these people are and where you can get the necessary training. Nothing works better to create ambassadors than provide tips and trick so you should include examples with tips and tricks. I understand that including all these sections can lead to a long document that people might not read which brings me to a final point about a social media policy. The key to success is the roll out phase. That’s the moment where you can create a simple hand-out or give-away that supports the introduction and announcement of the policy. You can really get creative with this and get a lot of support for your policy. I would love to hear your comments and feedback. I am looking with a lot of interest at the actions of trade unions when it comes to social media policies in companies. Over the last months several court cases, which I do not care to mention (just Google “social media policy union”), have made the news and have spread via different media across the world. It is true that currently most of the controversy is coming out of the US but I am sure in time we will have similar discussions in Europe. I know that I am touching on very sensitive points. So I think we need to face this topic before more discussions end up as social media cases. As more and more companies are seriously beginning to look at creating and implementing a Social Media Policy to control their employees, it raises more attention with the trade unions. We all know that controlling social media is impossible! So what am I seeing? Some companies have realized that rather than creating a strict policy it is better (for company ambassadorship) to provide guidelines to the employees. More and more companies are involving different functions and departments during the creation phase of a policy. We see HR, marketing and IT collaborate on such policies. My recommendation, however, is that you make the trade unions part of your project team to create the company social media policy. Daring? Impossible? Not! Speaking from experience, it can be done! Trade Union members are active on social media, let’s not deny this. While most are there from a personal point of view, some are their as a trade union member. This brings me to wonder if trade unions have their own social media policy or even social media guidelines since they are a brand too. 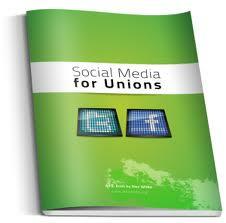 What guidelines or policies are in place for trade union members to react via social media? Just imaging how much damage the trade union brand and reputation could suffer from not having these guidelines. So far, I have not found one trade union that has published a policy but it would be interesting to see what their guidelines/policy looks like. My recommendation is that Trade Unions should create, implement, communicate and publish their social media policy so their members do not hang out the trade union’s dirty laundry. My business mantra is that you can complain about a problem but you need to come up with at least one solution. So if trade unions are going to fight social media policies, they need to have one themselves and companies must include the trade unions in their social media project creation and delivery teams. Looking to implement social media in 2011? Social media is all around us. Over 600 million people of all ages are now engaged on social media sites. Just take a look at the video “social media revolution 2” on YouTube. In the course of 2010, companies have realized that these channels represent a great way to reach out and engage customers. 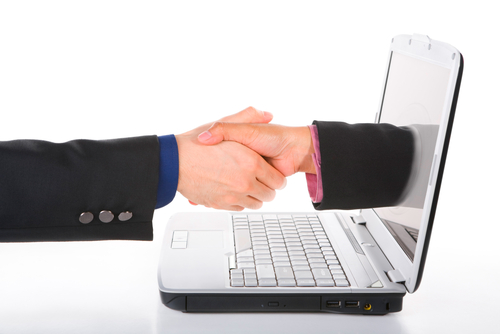 Joining social media as a company might seem easy and is started with a lot of enthusiasm. However, success does not lie around the corner. The initial drive to create necessary profiles and posts leads to worries about lack of success, large investments in time and hard to measure Return-On-Investment. Awareness of social media: How well do you understand what social media really is? What different platforms are there out there and what are they used for? Which ones do you pick to be active on? TIP: A great start is to get a good overview by reading up on the subject or even better calling on a specialist who can show you the way. 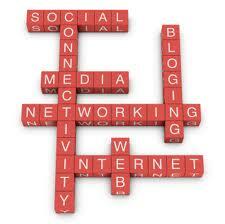 Strategy: Social media is not a channel that stands by itself nor is it the exclusive territory of marketing. HR, R&D and customer services can also benefit from it. Social Media is an addition to what your company already does to reach it targets. TIP: Find out if and where your customers are on social media and think about how to engage them – make it part of the questions in your annual customer satisfaction survey. Inventorize: Since so many people, including your own employees, are already using social media it might be a good idea to get a sense of where they are active and/or talk about your company. TIP: The simplest way to do this is by going on the platforms and typing in your company name. Social media policy: Before you can really get going, it makes a lot of sense to create a social media policy or guidelines to help people protect their and your reputation online. 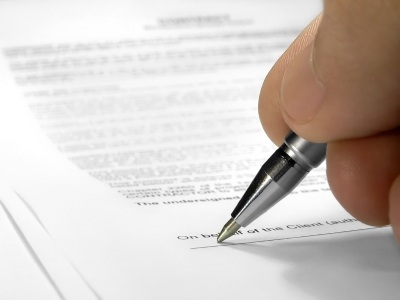 TIP: This policy should address items such as identity, time usages, company affiliation, handing negative comments, etc. Training: This is one of the most forgotten but highly effective items in the whole process. It can set you up for possible disasters – Not knowing the consequences of what you are doing or getting into can lead making simple mistakes with big reputation loss. TIP: Create a customized training to will help your employees do their jobs using social media. Getting started: Here the simple rule applies that you can not bite off more than you can chew. TIP: Create a few profiles first (LinkedIn, Facebook and Twitter) and add more as you go along. Create both personal and company profiles and make the as complete as possible. One final piece of advice is to start Monitoring. Whether you are active or not, you should monitor what is being said about you. TIP: Using free tools such Google alerts or http://www.socialmention.com are 2 great ways to start. Paying platforms start at 100€ (www.Tracebuzz.com or www.engagor.com) and provide better and more complete. Companies can no longer wait to join social media on the basis that people are talking about them. So it is better to join the conversation and engage the customers. I did not think I was going to write so quickly a follow up to my last week’s post on social media in the hospital area, but my interest was peaked this week by a poll I saw via Twitter (@reedsmith). 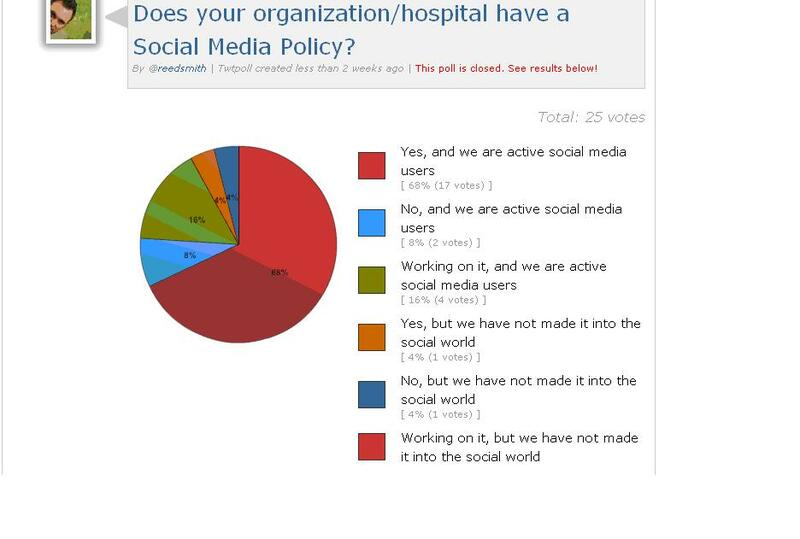 The polls asked the question whether the organization/hospital had a social media media policy. The result was somewhat amazing. 72% of the people who answered (25 answers) the poll said they did have a policy. This number is very high but due to the fact that on average only 1 in 3 has a policy. The fact that this poll was run through Twitter probably skewed the results. The users are already on social media and thus somewhat likely to have a policy. Clear definition on where the medical facility stands when it comes to social media and what usage during and off work-time. What are the clear guidelines to deal with negative comments? What is the plan? Who is the go-to person/department? What monitoring is being done to make sure this policy is being “enforced”? How has the policy been communicated to the employees? Just put on the intra-net does not do it. So as a conclusion, I think that having guidelines for your employees is great, but they need to communicated and monitored effectively so. People must know what can and can not be done and what to do in cases of emergencies. Are you checking in into your hospital? A few weeks ago, I got a call from a Belgian journalist (Peter Backx, editor of the Artsenkrant) asking if I had any data on whether the Belgian hospitals had any presence in social media. I was intrigued by the question and did some research which I will discuss later on in this blog. The first question that comes to mind when such an inquiry pops up is whether and what hospitals are doing anywhere else in this world. 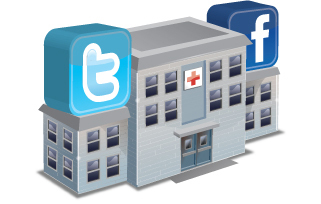 Hospitals are mostly risk and discussion averse which completely opposite of social media. New projects are meticulously planned and kept under good cover. But still it seems that in the USA hospitals are embracing social media big time. From Facebook over Twitter to YouTube! Hospitals are finding their way to applications to increase their customer service, training (both patients and nurses), PR and crisis communication. There are several great examples around (Mayo Clinic, University of Maryland, etc.). A source of information is slideshare where there are some great presentations available on the subject. Looking closer to home, Lucien Engelen recently noticed a significant increase in the social media presence in Holland. The number shot up from single digits to 30% presence in different types of social media. Similar to the USA, Dutch hospitals are uploading videos on YouTube, tweeting or posting messages on both Facebook and LinkedIn. One reason might be that hospitals are for profit and consider their patients potential clients (instead of just sick people). Another reason is that the effort of joining social media is headed up by HR which hopes to find new employees. But what about Belgium? It is safe to say that the social movement has not hit our Belgian hospitals. There are some that are starting but a limited amount has social media profiles on LinkedIn (25), Facebook (even less), Twitter (single digits). Most of the social media is driven by individual contributors that are not acting on behalf of the hospital which could in term lead to some confusing and misleading representation and will have to be addressed by a social media policy. So what is the next step? Since more and more patients are using social media to diagnose themselves before going to any care provider, hospitals should join the movement, know what is being said and actually contribute to the knowledge. By being proactive they will be able to become a more trusted partner for the patient. 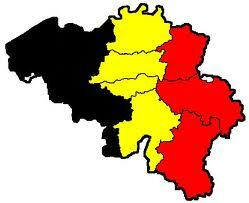 This week I had the pleasure of sitting in a panel at the Belgian national conference for contact centers. Since the theme of the conference was “look who is talking”, it seemed appropriate the discussion touched on social media. To my big surprise, social media seems to be an unknown and much feared topic within the contact centers environment. Will virtual communities replace contact centers? The biggest fear seems to come from the fact that people are going to switch from a contact center to virtual communities to get their questions answered or to find information. To a certain degree this is true but I am convinced that there will always be a place for these contact centers. Not everyone is online and some of us rather talk to a human being via the phone. Some companies are using Skype-like solutions to talk with their customers as Rabo Bank from Holland demonstrated. Conclusion 1: Customers will use the channel that fits their needs and behaviors to find information. After the hype, a new balance between will established and social media will be part of it. Conclusion 2: Contact centers should add the social media channel to their product offering to be more attractive to both the company and the customers. 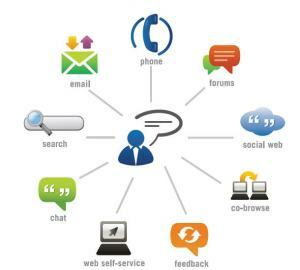 Contact centers are not connected to social media while their clients and employees are. My quick research and market study project confirmed that less than 50% of the members of the Belgian contact center association (90 companies strong) have a social media profile. Of those who do have one we can safely say that they operate in an international environment. Checking some of the monitoring, the results are in line with my previously published study (40% twitter response and less than 5% Facebook response) Keep in mind that most of the companies that replied are international companies. The main reason for this disconnect seems to be the fear of the negativism. Contact centers do have a “bad” reputation and they are not looking for yet another channel to get bashed. 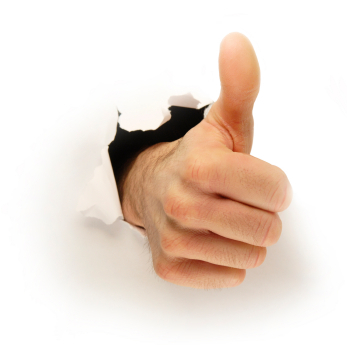 Plus there are not that many public success stories around social media in contact centers. The fear of the unknown and inexperience are a close second and third in terms of why contact centers are not on social media. Conclusion: It is safe to state, that these most of the companies are not connected to or do not even monitor what is being said about them in social media. It is certainly not a service they offer to their clients. An opportunity lost? Or a unique selling point for further business? Modern media and technology require a super agents in the contact center. Here it becomes really clear that contact centers underestimate the qualities and skills of the people they hire. They forget that most people (and there are over 3.5 million Belgians on Facebook – just to name one) are taking part in social media before or after working hours. I am sure that some even take part during working hours through their mobile devices. Conclusion: What is really needed is a good code of conduct, call it is a social media policy, and some advice on how to behave correctly on behalf of the company (language, tone of voice, etc.) in the same manner they get when they are behind a phone. In the new balance of contact channels, it is clear that social media will find its place. It will not replace the contact center but it will help further redefine their operational model. Contact centers should embrace social media to both serve their client companies as well as find new employees that understand fully this medium. Implementing a social media policy and monitoring tools should be at the top of the agenda of priorities for 2011. 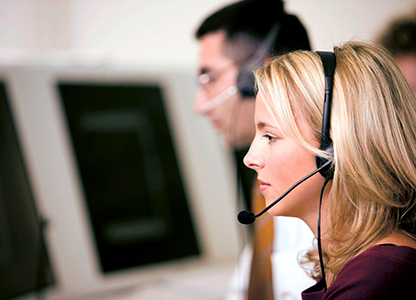 These are going to be key to the success and level of professionalism of the contact centers. There is no way around it, join or lose customers! I would love to hear you your feedback, experiences and comments.